The Maharashtra government today announced a probe over Mumbai University's failure to apply for re-accreditation from National Assessment and Accreditation Council (NAAC), the Legislative Council was informed today. Mumbai: The Maharashtra government today announced a probe over Mumbai University's failure to apply for re-accreditation from National Assessment and Accreditation Council (NAAC), the Legislative Council was informed today. Ramhari Rupnawar (Congress) raised the issue of Mumbai University losing its Grade A accreditation from the National Assessment and Accreditation Council (NAAC) in April. He asked if any action will be taken against the officials responsible for it. Minister of State for Higher and Technical Education Ravindra Waikar said "An action will be taken, after an inquiry, against those people who are responsible for not securing accreditation for the university." The grade defines the quality status of an institute based on its performance, curriculum, evaluation, faculty and infrastructure. Responding to queries from other members if action will be taken against the Vice-Chancellor, Waikar said, "If the vice chancellor of the university is found to be at fault, action will be taken against him through the Chancellor." Waikar said that the varsity will apply for the re-accreditation between November 1, 2017 and December 31, 2017. "There is no provision to apply for the accreditation six months prior to its expiry," he said, when members questioned him for not initiating the process six months before the expiry of accreditation. 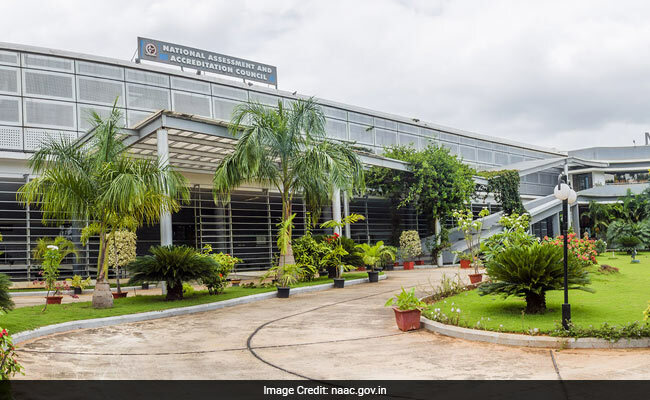 "The guidelines for NAAC accreditation has been revised from April 2017 and the new process is transparent and simpler. The university has decided to apply for accreditation under the new process," Waikar said.